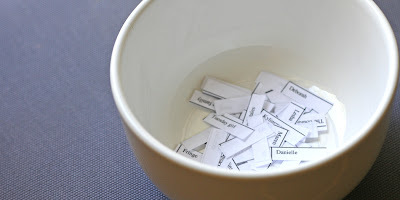 It’s Friday, which means it’s time to announce the winners for the Onera Spice Set Giveaway! Don’t Forget! Onera Spices Free Giveaway! 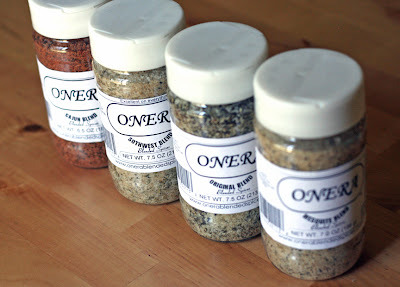 You have still have a little time to enter the random drawing for the Onera Spices! Just post a comment, any comment, HERE. Deadline is Friday morning 8 AM PT. Good luck! This weekend was Nate’s birthday and boy did we celebrate…in fact, this poor pregnant lady is still recovering. Red Sox-Padres Friday night (we had to stand the whole game, but the sox won so it was worth it! ), San Diego Zoo Saturday morning, and a “party” with the three of us Saturday night. It was lots of fun and Cate was WAY into all the preparations, including making the birthday cake! Nate’s Grammy McCarthy is a great cook and has lots of yummy recipes. 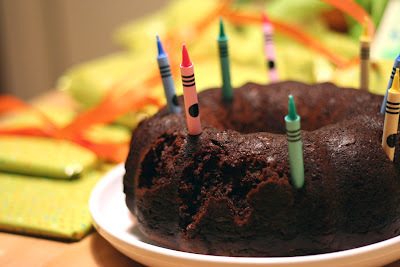 One of our favorites is her “Deep Dark Chocolate Cake” (click to link to recipe). It’s a bundt cake that is moist and chocolatey and yum-yum. 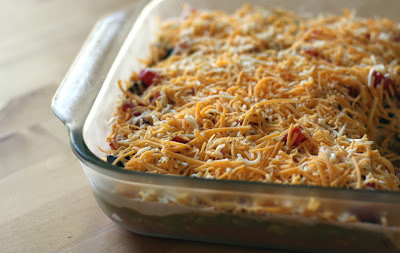 I have a few similar recipes to this one, but this is by far my favorite. Thanks, Grammy!!! This week there are a lot of “cravings” popping up on my menu. Kinda funny…I never think I have them when I’m pregnant, but here they are all over my menu! I gotta say, if I didn’t have medicine to help with my sickness, none of these cravings would be possible. Thank goodness for modern medicine b/c I ate the yummiest ribs ever last night…Nate wanted to go to Phil’s BBQ for his birthday, and boy am I glad he did. But now all I can do is think about going back and eating more RIBS!! So, I think we’re going to have to…and I’ll do a nice Phil’s post later this week! – Phil’s BBQ! Bring on the ribs and unhealthy side dishes!! Happy Friday! I’m happy to announce a free giveaway to end your week off right! Remember my post about Onera Original Spice, with accompanying giveaway? Well, believe it or not, you have a second chance at getting this awesome spice in your cupboard! The prize: A complete set of Onera Spices – Original, Mesquite, Southwest and Cajun. The big bottles to boot! I have 2 sets, so there will be two lucky winners! Thank you, Onera Blended Spices! To enter the contest: Simply add a comment, any comment, to this post by 8 AM PT Friday, 6/29. I will announce the two winners next Friday, 6/29! As a quick follow up, there was some question as to whether the company found at www.onerablendedspices.com was the same as the spice I’ve been buying all these years. They ARE the same company – new owners, new label, SAME SPICE. Yea! Also, if you visit their website, you can request samples of the spices – they offer a generous 1-oz. sample of each spice. Great spices, great company! Here are all your wonderful meatloaf recipes, compiled into one place! After placing in loaf pan, place half strips of bacon on top, so each piece is cut and defined by its own piece of bacon. It looks and tastes good. 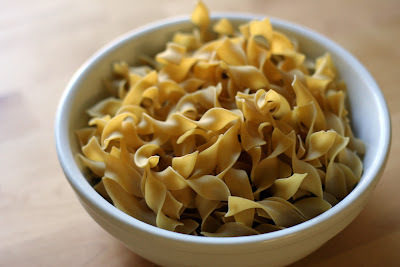 Heat oven to 400° F. In a large bowl, combine the beef, soup mix, cheese, parsley, eggs, and saltines. Add the water and combine. Transfer the meat mixture to a baking dish and form it into a 9-inch loaf. Bake until cooked through, about 40 minutes. If using barbecue sauce, remove the meat loaf from oven after 25 minutes and pour the sauce over the top. Return to oven for about 15 minutes more. To Freeze: Wrap the uncooked meat loaf in a large sheet of aluminum foil and cover with plastic wrap. Store for up to 3 months. To Reheat: Thaw overnight in the refrigerator. Cook according to the recipe. Mix ingredients together in a bowl. Pack into bread pan and cook at 350 for 1 – 1.5 hours. To experiment with adding some hidden vegetables, the last time I made this I added shredded carrots and shredded zucchini, and it turned out really good! It stays more moist if you keep it covered for the first half of cooking, then drain off the fat near the end if necessary. Preheat oven to 375. Mix cereal, 1/3 cup BBQ sauce and egg whites in a large bowl until well blended. Add meat and vegetables, mix lightly. Shape into loaf, place on broiler pan lined with foil. Brush with remaining BBQ sauce. Bake 1 hour or until cooked through. Makes 4 servings. Mix and bake in loaf pan at 375 for 1 hour. Now if you were my grandmother, you’d dry the ends of bread loaves then cut them up and then soak them in the beaten egg and mixture. I just throw everything into my mixer and mix it together with the dough hook. Shape into two loaves and place in a 9×13 pan. I run ketchup on the top down the center of each loaf in a squiggled line. I hate ketchup, But can almost tolerate it when it’s cooked like this. Bake at 350º for about an hour. You can bake potaoes at the same time. Or increase the oven to 375º or 400º for a faster end time. I usually cut in to the center of one to check to see if the meat is cooked before removing fromt the oven. Let sit for a bit before slicing. Mix all together with a little salt and pepper. Form into 8 mini loaves and place in 9 x 13 pan (I line it with foil for easy clean up). Spoon sauce over each loaf. Bake at 350 for 45 minutes. Mix all ingredients except 1/4 cup BBQ sauce. Shape meat into 2 oval loaves, side by side, in 9×13 baking dish. Top with remaining BBQ sauce. Bake at 375 for 35 minutes. Place meats in a large bowl. Break in eggs and mix. In another bowl, soak breadcrumbs in the milk. VERY finely chop the veggies and garlic. Mix all together. Bake in a loaf pan uncovered at 350 degrees for about an hour. My sister-in-law, Lucie (bill’s wife), claims it to be the best meatloaf west of the Mississippi. I saw it on a 30-minute meal episode and everytime I make it everyone loves it. It looks complicated, but it’s really not too hard and well worth the extra effort. Technically it’s supposed to only take 30 minutes start to finish, but I always give myself an extra 10 or 15. Preheat oven to 450 degrees F. Mix meat and next 10 ingredients as if you were making meatloaf. Flatten meat out on a waxed paper lined cookie sheet into a thin layer: 1/2-inch thick, 12 inches long by 6 to 8 inches wide. Cover meat with arugula or spinach, prosciutto and cheese then roll the meat, using the waxed paper to help roll up into a large log, working across the 6 to 8-inch side, resulting in a 12-inch long log. Drizzle the log with extra-virgin olive oil to coat lightly. Roast meatroll 20 minutes. Cut into 1-inch slices, 3 pieces per portion, and serve. Every time we have blueberries, the whole time I’m washing them, cooking with them, eating them…I can’t help but notice how beautiful they are. I know, kind of cheesy, but they are seriously cool looking. That dark blue, with the matte kind of finish, know what I mean? It’s hard to describe and the pictures I took don’t really capture what I love about them, but I couldn’t help but snap a few shots yesterday. Blueberries win the prize for prettiest fruit. Happy Father’s Day to all the millions of dads out there who read the blog. 😉 We’ve had a nice lazy day around here, complete with drive down to the ocean. It was such a pretty day. Happy Father’s Day, Nate – you’re the best! – Going to see the RED SOX play the Padres! WOO-HOO! GO SOX! Okay, time for you guys to do some work. 😉 Are you ready? The last 2 months have been rough for me as you all know…feeling sick, working a ton, trying to be a good member of the family. I find many nights I just need something EASY (and “homemade”) to make for dinner. I’m so sick of take-out and don’t like super processed foods, but cooking isn’t so easy for me right now. The other night when I just didn’t know what to make, I went to the store and grabbed those frozen Chicken Cordon Bleu packs, a box of Rice-a-Roni Long Grain & Wild Rice and a bag of carrots to steam. EASY and YUMMY. Definitely my yummy easy peasy meal.